The English Women once again blew away the Sri Lankans in the first T20 last week and will now look to wrap up yet another series as both teams collide on Tuesday in Colombo. A huge dearth in talent and experience amongst the Sri Lankan Women has been evident in the ODI series and the first T20I, resulting in four one-sided matches with Heather Knight and co. leaving no room for complacency - a trademark of all the champion sides in the past. With the series up for grabs, England would hope for an encore although they should be wary of the wounded Sri Lankans in the second T20 International. Amy Jones, Tammy Beaumont, Heather Knight, Dani Wyatt, Natalie Sciver, Lauren Winfield, Georgia Elwiss, Katherine Brunt, Anya Shrubsole, Sophie Ecclestone, Kate Cross, Linsey Smith, Freya Davies, Sophia Dunkley, Laura Marsh, Fran Wilson. As per the rotation policy they have practiced throughout the tour, a few changes are to be made from the side that bundled out the hosts for a mere 94 on Sunday. While the top order consisting of Wyatt, Beaumont, Jones, and Knight should remain intact, the likes of Katherine Brunt and Georgia Elwiss stand a chance at making the playing XI at the expense of Davies and Marsh. Possible XI: Wyatt, Beaumont, Jones(WK), Knight(C), Sciver, Winfield, Brunt/Marsh, Dunkley, Smith, Shrubsole and Cross/Elwiss. As seen in the first T20, spin holds the key on a dry Colombo surface where anything above 120 gives any side a fighting chance at winning the match. A lot of variations should be on show from the pacers while the powerplay overs are going to be crucial with strokeplay being easier with the new ball. Batters: Openers Dani Wyatt and Tammy Beaumont are must-haves in the side, while Harshitha Madavi is also one for the taking with the Sri Lankan showcasing her ability in the ODI series with fluent cameos. The likes of Hansima Karunaratne and Imalka Mendis are viable options who can slot in for Madavi in the side. All-rounders: Chamari Athapaththu and Shashikala Siriwardene are two of Sri Lanka's best players and should make the fantasy side with minimum fuss. One of Nat Sciver or Heather Knight should suffice in complementing a strong allrounder contingent. Bowlers: Anya Shrubsole and Linsey Smith are decent picks for the team while Ranasinghe all-round abilities could also result in valuable points being added to the fantasy points tally. If included in the side, Katherine Brunt is also a great selection with Laura Marsh, on standby also proving her worth in previous matches. Captain: Danielle Wyatt and Tammy Beaumont are in supreme form with the bat and should be backed to come good once again at the top of the order for the English. If one were to defer from the English, Chamari Athapaththu is more than a decent option to fill in as captain. 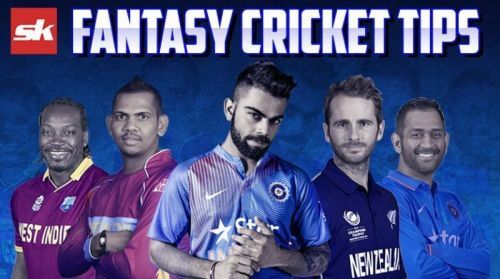 Fantasy Suggestion #2: Amy Jones(WK), Lauren Winfield, Tammy Beaumont, Imalka Mendis, Dani Wyatt, Chamari Athapaththu, Shashikala Siriwardene, Heather Knight, Katherine Brunt, Linsey Smith, and Oshadi Ranasinghe. Captain: Chamari Athapaththu.